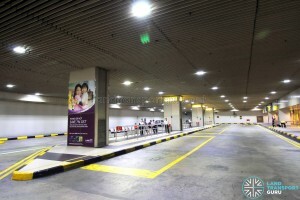 Changi Airport Passenger Terminal Building (PTB) 2 Bus Terminal is located at Basement 2 of Changi Airport Terminal 2. 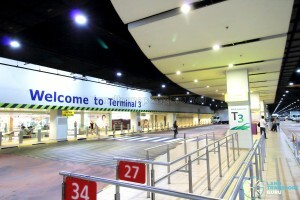 The terminal serves Changi International Airport along with two other basement stops at Terminal 1 and Terminal 3. 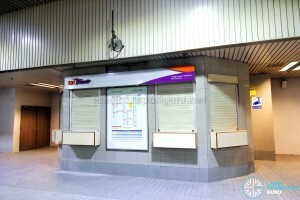 It is also linked to Changi Airport MRT Station. 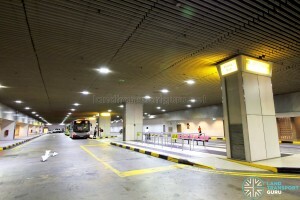 Changi Airport PTB2 Bus Terminal is built at Basement 2 of the terminal building, similar to the bus stops at Terminal 1 and Terminal 3. 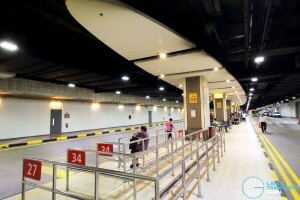 Although some might refer to the bus bays at PTB1 and PTB3 as bus terminals, only PTB2 has a terminal office and dedicated berths for every service. 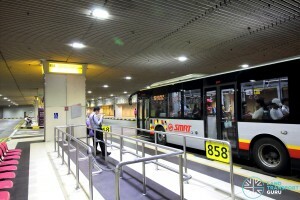 Buses entering the terminal have to pass through a security check, where auxiliary police officers will board the bus to check for any unattended articles. 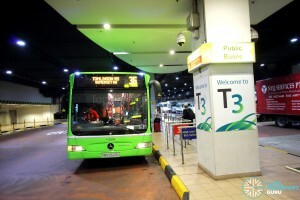 Bus drivers used to get off the bus and update their trip information at Terminal 2, while leaving their buses parked at their respective berths. Passengers will have to wait onboard until the bus driver returns. This practice was abandoned when services 24, 27, 34 and 53 were converted to loop at the airport. 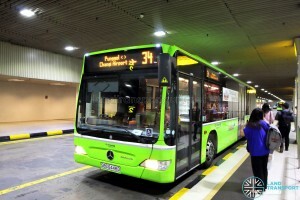 Service 36 employs the ‘crew layover without bus’ or ‘CLOWbus’ concept where the driver which completed the trip will proceed to take a break, and another bus driver will take over the bus to continue the next trip. 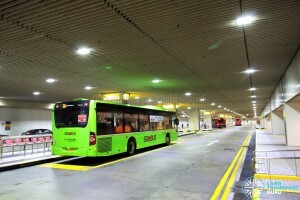 Before the official opening of Changi Airport, SBS had launched a series of Airport bus services, known as CAS (Changi Airport Service) to serve the airport workers. The six CAS Services were introduced in stages between February and June 1981. 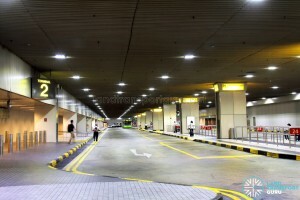 They were Services 390, 391, 392, 393, 394 and 395, and bridged towns in the East with Changi Airport and the Cargo Complex. 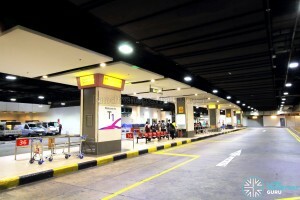 When Changi Airport opened in 1 July 1981, 5 more supplementary services were introduced, jointly operated by Singapore Shuttle Bus (SSB) and Scheme B operators, namely Singapore School and Private Hire Bus Owners’ Association and Singapore School Transport Association. 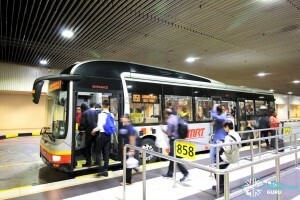 The routes are services 727, 737, 747, 757 and 767. 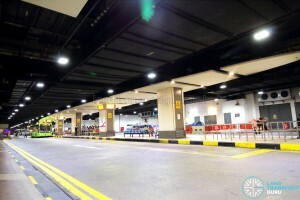 These routes were slightly longer and connected from other towns in Singapore, such as Ang Mo Kio, Toa Payoh and Queenstown. 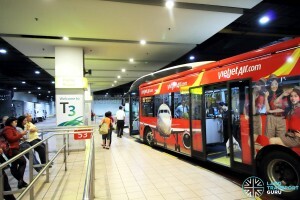 The non-lucrative nature of airport bus routes was taking a toll on Scheme B Airport routes. Buses usually ran with hardly any passengers and the headway gradually deteriorated, as both sides (SSB and other private operators) took buses off the roads to save money. The Scheme B series of airport routes ended June 1983. 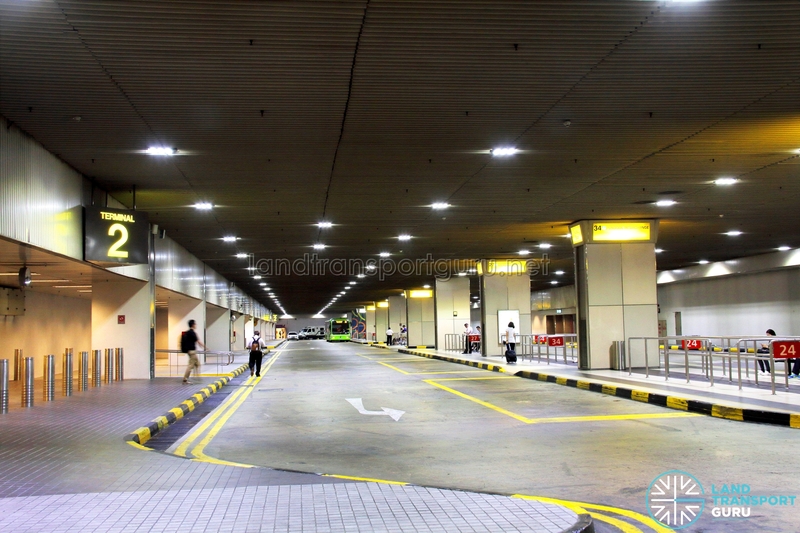 Service 390: Changi Airport ↺ Tomlinson Road, extended from Rochor Road. SBS (and later SBS Transit) will continue to run regular bus services to the airport. 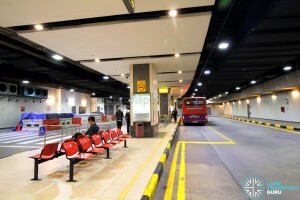 Service 27 was amended here in 1987, Service 53 from Bishan was extended here in 1995, while Service 858 from Woodlands was extended here in 1997. 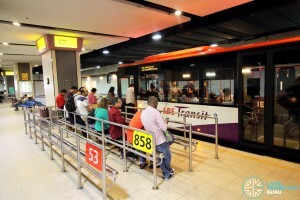 Service 36 came about in 1998, not as a direct renaming of Service 390, but rather from Service 16 which used to serve the airport but was cut short to Marine Parade. 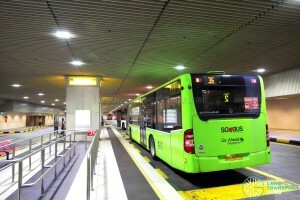 The most recent addition was Service 34 from Punggol, introduced in 2005. 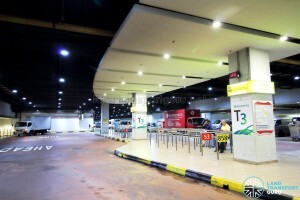 When Terminal 2 was opened in 1990, the bus terminal was relocated to PTB2, which was designed with a much bigger space for buses, and every bus service had adequate space for layovers. 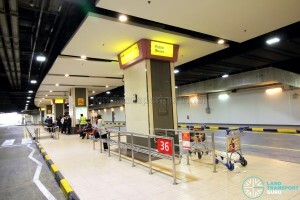 Another prominent route at Changi Airport was TIBS Service 989, a direct service from Choa Chu Kang, Bukit Batok & Jalan Toa Payoh to the Airport introduced on 5th Aug 2001. 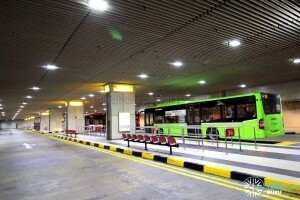 Then the longest bus service in Singapore (with 101 fare stages), it was withdrawn in 2003. 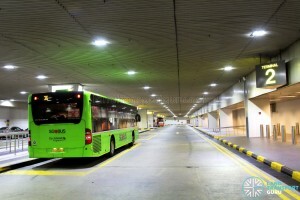 Only Bus Services 24, 34, 36 & 110 will serve Changi Airport Terminal 4. 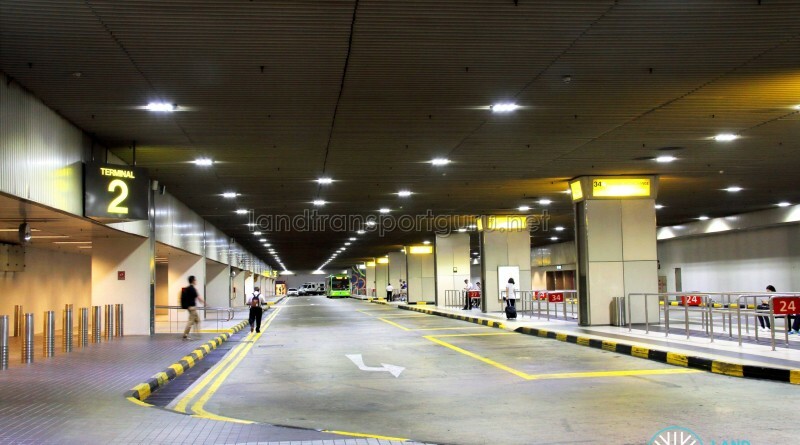 Should convert the T2 terminal into proper parking lots and relocate the office to the left side.Service like 34 & 36 can terminate there using 34T & 36T upon reaching bus stop before T3.